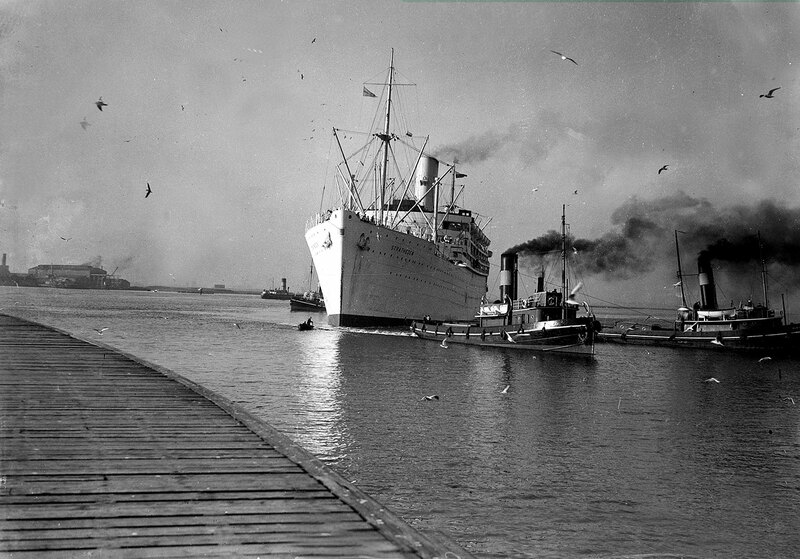 We stood on the deck of the white ocean liner as it slid out of the dock in Bombay. In silent fascination we stared at the Gateway of India, where an emperor had once landed to proclaim his possession of the brightest jewel in the crown, the glorious monument erected for his majestic entrance now a sad, receding landmark of our exit from the subcontinent. The ship eased past the fishermen's boats and the ferry coming in from Elephanta Caves and headed out to what, in my boyish imagination, was Ali Baba's magical ocean, the Arabian Sea. Also among the crowd on the deck where I stood with my parents were four famous cricketers and I threw unbelieving glances at them to confirm they were really there, an excited vibration bubbling through my blood at my luck not just to be watching them from beyond the boundary but to be sailing to England with them as my companions. 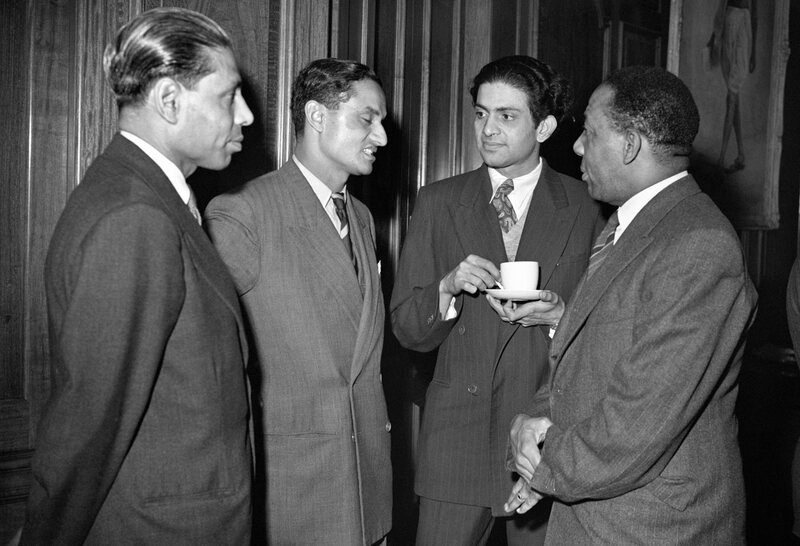 Three of the cricketers were Indians: BB Nimbalkar, who had come close to beating Don Bradman's world record when he scored 443 not out in a Ranji Trophy match three years earlier; Gul Mohammad, known for once pulling a six that went chest high all the way into the stand at square leg; and India's foremost allrounder, Vinoo Mankad. It was March 1952, and a month later the English cricket season was to begin with India that summer's visiting team. These three had not been selected to play for India and were going to play for clubs in the Lancashire League, a lucrative refuge for international cricketers at a loose end. A similar professional arrangement in Australia attracted English players during the southern summer, and one such was the fourth cricketer on board, Jim Laker. Serenely, as if gliding on a mirror of the sea, the SS Stratheden slid out of Bom Bahia, the Good Bay, that was once a proud Portuguese possession before they presented it to the English as dowry in a royal alliance. The island of Bombay sank behind us, a haze fell over the Malabar coast, India receded. And then all is blue and sunny in the recollections of the next fortnight that flash in my mind. As for how it happened and what we talked about, over 60 years later I have no memory. But even before we stopped in Aden four days later, I was friends with the four cricketers, playing deck quoits with Laker and Mankad, and chatting with Nimbalkar and Gul in the bar. We were together in a group when the ship docked in Aden and Marseille, and we went ashore. Gul never seemed to leave the bar, and the sharp image of him - of his round face and short, straight black hair with its side parting, head bent with his eyes fixed on the glass of beer - has not lost a single pixel all these years later; a sad image, which alternates in my mind with those from a match I watched him play at the Brabourne Stadium. Paying their own fare, the four cricketers were travelling second class, and I heard that the entire West Indies team, which had completed the 1951-52 tour of Australia, was on board the SS Stratheden in first class. I had seen them play at the Brabourne Stadium when they toured India in 1948-49, the towering Clyde Walcott, maroon cap on his head, grinning after a back-footed shot straight past the bowler, and Everton Weekes square-cutting with ferocious power on his march to a fifth consecutive Test century. Unbelievably, here they all were, even Sonny Ramadhin and Alf Valentine, those little pals of mine, and it's still impossible to mention their names without hearing that song and doing a happy little jig. To see them, all I needed was to slip into the ship's forbidden first-class territory, not too difficult a project for the chameleon capabilities of a 17-year-old boy. And there they were, some eight or nine of them lying in deckchairs scattered on the immaculately painted deck. I stared in awe at each and, with palpitating heart, wondered if I dare approach them for autographs, but did not, largely because I did not want to be noticed by the ship's staff. I stayed long enough to satisfy my curious eyes and withdrew. The picture has remained like a vivid dream for over 60 years, though only as a general composition of bodies on a deck without a particular identification, as if arranged there by way of a modern art installation, lying limply resigned to the seemingly unending months-long voyage. T he 1952 English season began soon after we arrived in early April. Being among the earliest immigrants after the dissolution of the Empire, our racial identity made us conspicuous among the native English. When I enrolled in a grammar school in London at the start of the summer term, as the only brown-skinned boy in a sea of pink bodies, it was neither unnatural nor surprising that I should be the object of mockery and insults. But not for long. Come the games afternoon for the senior boys, the cricket master saw me with the bat, and within weeks I was opening the innings for the 1st XI, and before the term ended I'd won the respect of the whole school. In the meanwhile the Indian team arrived for their tour and I went to see a traditional friendly opener, on a dull, blustery day at the end of April, against an Indian club in Osterley. It was more of a social event where some of the English press got to know the tourists. Mankad had originally been left out by the selectors and had gone to play in the Lancashire League. Soon after the tour began, however, there was a resolution to whatever the problem had been, and Mankad was back. The warm, friendly person whom I'd called Vinoo bhai when playing deck quoits was the soul of India when they played England at Lord's. The Test was also memorable for Godfrey Evans scoring 98 in one pre-lunch session, and for the young Peter May and Tom Graveney showing promise of greatness to come, but Mankad dominated. 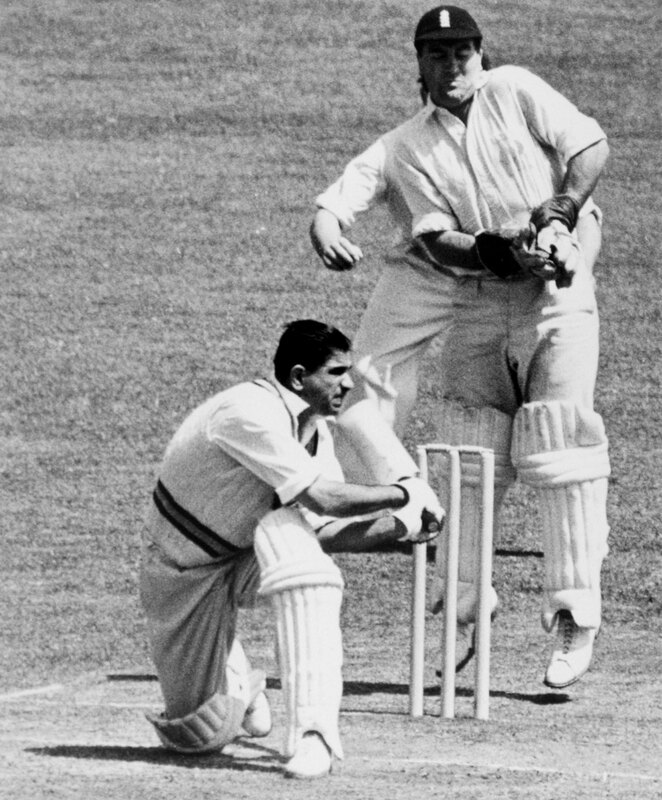 England commenced their second innings and when the captain, Vijay Hazare, called on Mankad to open the bowling, I remember him squatting near the bowling crease and rubbing the new ball in the grass to take the shine off. Fred Trueman, the rising English star, overwhelmed the tourists that summer, his speed intimidating two of their principal batsmen, Pankaj Roy and Polly Umrigar, into pathetic submission. By the end of the season Trueman had established himself as the English spearhead, soon to be partnered by the elegant Brian Statham. Over the coming seasons, it would be a thrill to see this muscular and stocky figure, his black hair bouncing, come tearing down one end like a bull. At the other was the slim, tall Statham, quiet, taking off like a predator in the forest, his feet doing a smooth shuffle and gathering pace before a little leap with the ball held high above his head, the right arm straight and the left elbow aimed at the batsman, and then the final stride and full swing of the arm for delivery. On wickets that did not favour speed, the ball was handed to Laker, who licked his fingers at the start of his short run and kept a poker face as he imparted deceptive flight, and to his inseparable fellow spinner, the balding Tony Lock. After the Old Trafford Test against Australia in which Laker took 19 wickets, a television crew filmed him driving back to London, his face not betraying the slightest emotion, as if nothing had happened. He had fulfilled his duty, done his best for England and that was all; in those days there was none of the celebratory jumping for joy and hugging of team-mates each time a wicket fell. After finishing school, where I was the cricket captain for two seasons and played as opening batsman and wicketkeeper, I spent the second half of the 1950s at a university where I read and wrote poetry. Aged 24 in 1959, I graduated with a mediocre degree. But I'd begun to publish poems and essays, and in that England of 1960, when coloured immigrants were discriminated against for all but menial service jobs, I had the curious distinction of being turned down for every job I applied for but being accepted as a poet. One Sunday, the Observer advertised a position for an assistant sports editor; although I was unqualified, I sent in an application composed in a literary style that caught the eye of Christopher Brasher, the sports editor. He had set the pace for Roger Bannister's record-breaking sub-four-minute mile and then won a gold medal as a steeplechaser at the 1956 Olympics. On reading my letter, Brasher called me for an interview and received me in his office with a warm, friendly welcome; he said that the assistant editor's job was out of the question, but was there anything else I could do. I could think of nothing, but said, "Your chief cricket correspondent [Alan Ross] is a poet, I am a poet, therefore, I can be a cricket correspondent." Brasher smiled, and said he'd try me out. And soon came a Saturday when I was sent to Oxford for my first county cricket assignment. A year later, led by Ted Dexter, the MCC boarded a Pakistan International Airlines flight to Karachi for its 1961-62 tour of Pakistan and India, and I went with them as the Observer's correspondent, sitting next to the England batsman Bob Barber in the window seat of a Boeing 707. It was not a memorable tour and was, in fact, entirely forgettable. England's most successful batsman, Ken Barrington, of the flawless technique and zero style, accumulated runs as though they had to be stolen like a squirrel gathering nuts, and was tiresome to watch. Dexter, who was expected to thrill with his dazzling style, had the occasional brilliant moment but was largely disappointing. None of the bowlers made a mark, and the general performance of the two home teams in Test after Test required protracted patience from the spectators. These were the kind of boring and irrelevant Tests that created the climate for the popularity of one-day internationals. It was the end of a dull, waning period, the end of an era before the one that would colourfully speed up the game and impart a forced excitement. Back in London after the tour, I found that my reports in the Observer had made me a familiar name, and I received invitations to play in celebrity matches starring some famous retired cricketers who wrote weekly columns for the Sunday papers. I had the pleasure of keeping wicket to Learie Constantine, then in his 60s, who, some years before I was born, had been the earliest of the West Indians to have impressed the colonising power that one of its subjects was an equal match. A gleam in his eyes, he tossed the ball up and had the batsman and me mesmerised as we watched it float through the air, wondering which way it would turn. At the other end, I stood up to an even more cunning spinner, Richie Benaud. It felt strange fixing my eyes on him from behind the stumps. A decade or so earlier I had seen Benaud establish himself as a leading allrounder in a Test at Lord's - his demeanour boyishly eager then - and here he was, no longer boyish but mature and relaxed and yet sharply athletic, confounding me with his disguised spin. In the same match another Australian, Jack Fingleton, was the principal batsman in our side. He was at the crease when a wicket fell and I was next man in. Naturally, as a young amateur, I was eager to impress my celebrated peers, and so carefully defended a couple of balls to get my eye in. That didn't please Fingleton, who, in his turn, was eager to demonstrate to the crowd that he was still the great batsman he had been in his youth. To his irritation, a chance single saw me facing the next over, leaving him again at the bowler's end. As the Cambridge mathematician GH Hardy once said, cricket is a game you play against 11 players of the opposing team and ten of your own. But I'd qualify that by saying that cricket is also a game in which you sincerely applaud a brilliant stroke or a fine delivery regardless of who executes it. And so, with Fingleton beginning to fume that he was not getting the strike, I stepped forward and executed a perfect off drive. Fingleton came running down and we were about to cross when, turning his head, he saw the ball cross the boundary. Though naturally frustrated not to get the strike, he said, "Good shot" and walked back to the non-striker's end. 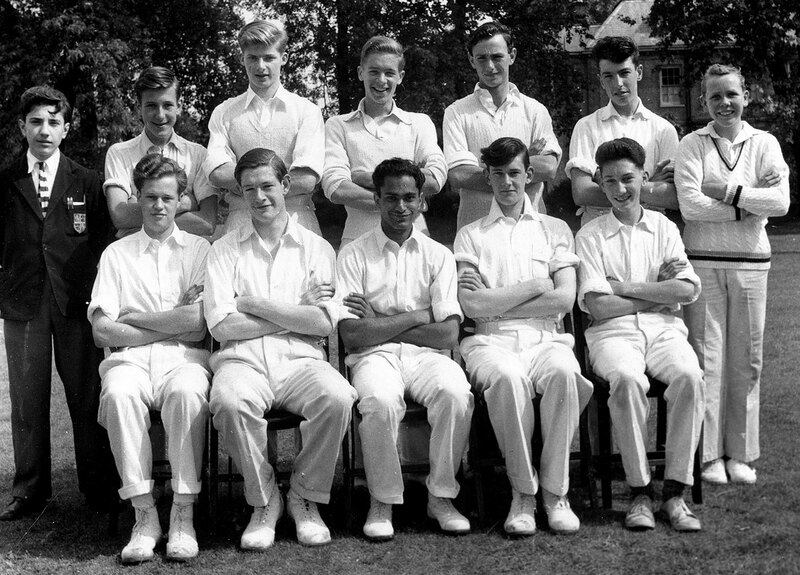 Another great cricketer was in London that season, Frank Worrell, writing a weekly column for the Observer. That made him a colleague of the other reporters, whereupon one of them, Clement Freud, had the idea of arranging a match so that we could say - as I am doing now - that we'd played with Frank Worrell. We played against a club in Brighton on a pitch that had seen much action earlier that summer, leaving it with more grainy dust than grass. Winning the toss, we batted first, with me opening the innings and Worrell at No. 3. I took guard and faced the first ball. It pitched just short of a length, a very ordinary delivery, its only virtue that it was on a straight line. I leaned forward, presenting the full face of a defensive bat. The ball did not bounce and skidded along the grainy dust, slipped past my bat, and hit the off stump. I pulled my bat back, stood up and began the dismal walk to the pavilion. Halfway there, I passed Worrell, gently shaking his head in commiseration as our eyes met. "Bad luck," he said and walked on. He went on to score a hundred.